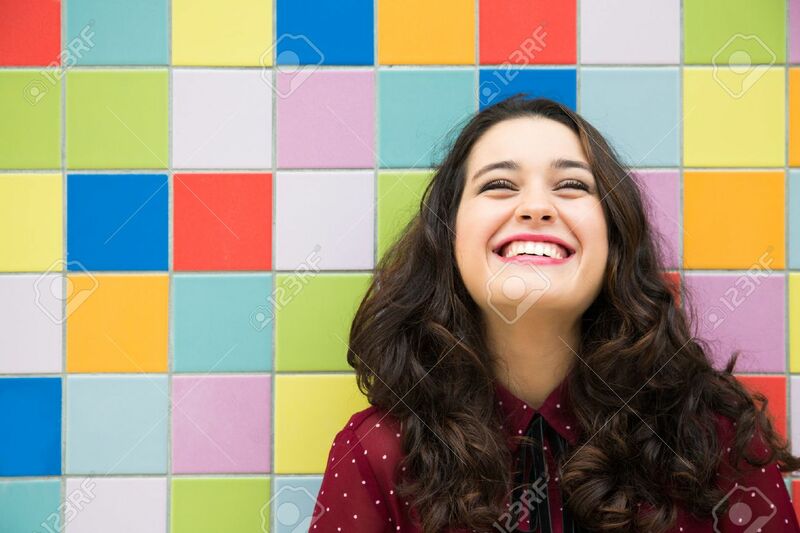 Happy Girl Laughing Against A Colorful Tiles Background. Concept.. Stock Photo, Picture And Royalty Free Image. Image 47210960.